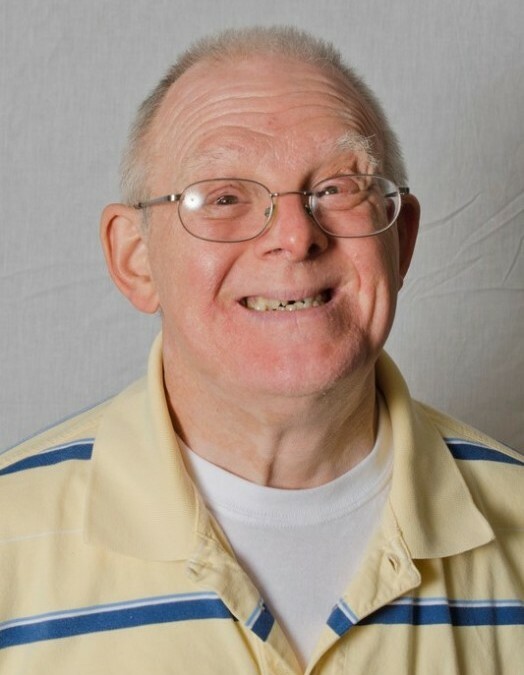 Van Gregory Taylor, 66, of Columbia, passed away on Wednesday, April 10, 2019. Funeral services will be 11:00 am, Saturday, April 13, 2019 at Rock Bridge Christian Church. Visitation will be from 10:30 am until time for the service. Burial will follow at 3:00 pm at Park Lawn Cemetery, St. Louis. Van was born September 2, 1952 to Ralph and Rosemarie Brearley Taylor in St. Louis. Van was a member of Rock Bridge Christian Church. He competed in the Special Olympics and swam in the World Games in 1999 winning three medals. He enjoyed performing in the Woodhaven Bell Choir where he performed in front of President Reagan during his inauguration. He is survived by his mother, Rosemarie Taylor of Osage Beach and niece, Ashley Taylor Birk (Bradley) of St. Louis. Van was preceded in death by his father, Ralph and brother, Glenn. Memorial contributions are suggested to Woodhaven, 1405 Hathman Place, Columbia, MO 65201. Arrangements entrusted to Bach-Yager Funeral Chapel, Columbia, MO.